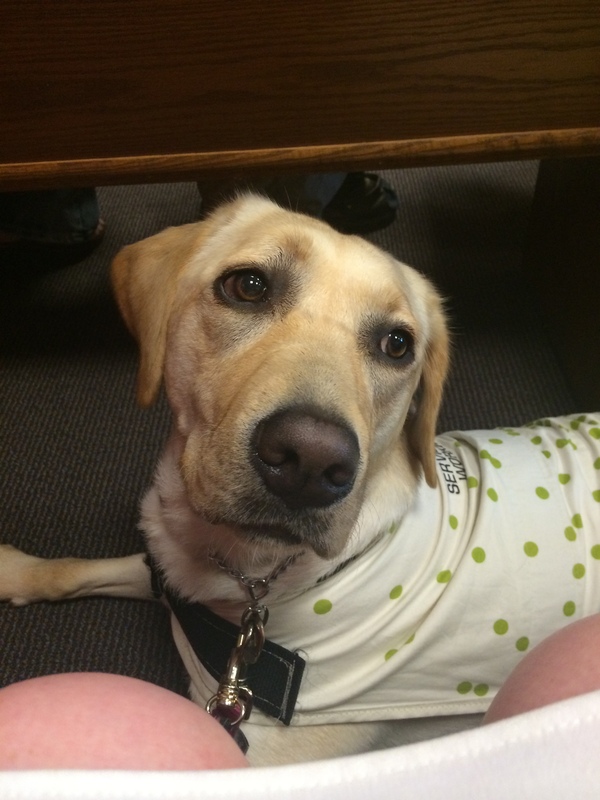 Fact: My service dog Likes to work, but she also enjoys being an over excited dog too. This great photo was taken at my friends wedding a few weeks ago, Bella cleans up nice. 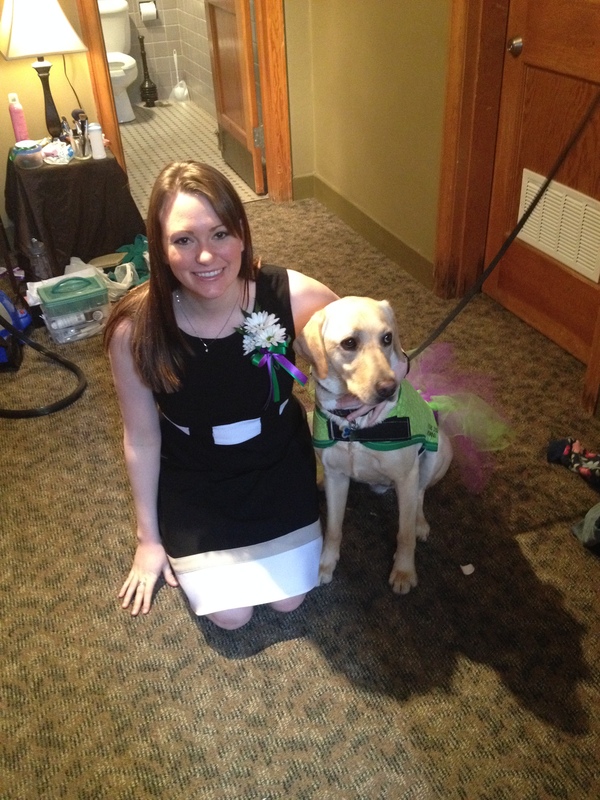 Plus, Being a working dog allows her to go to fancy events too! There are two sides (Okay maybe a few more then that) but there are two main sides to a service dog, her work side and her play side. This is a concept that a lot of people don’t understand so I feel it should be explained. 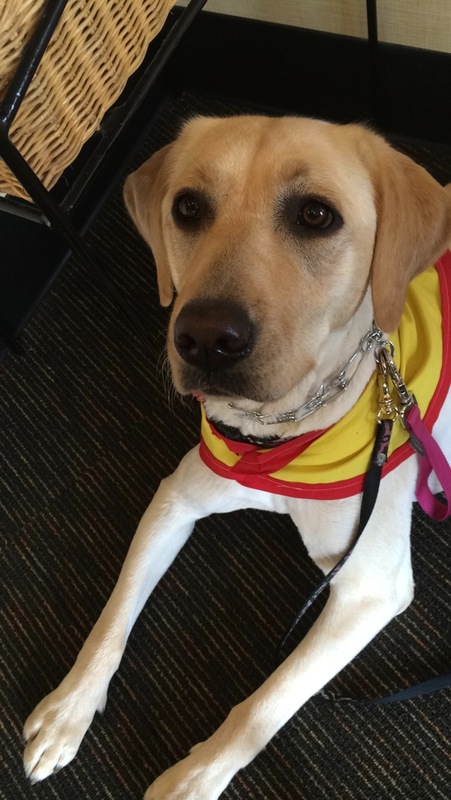 I think this is one of the traits that really makes a service animal have a human side to them. They work just like any other teen or adult does and then when they are off work, it’s time to be lazy, play or do random things like talking my ear off when she feels I’m not giving her enough attention. The reason this is so important to explain is because I often hear this phrase or a variation of it, “Oh that poor thing, its so unfair that she has to work and cant just be a dog.” this statement bothers me for many reasons, one being that to be perfectly honest Service dogs have an amazing life and two, most of the day she sleeps under my desk so its not like I’m making her run laps all day all the time or something.